Capt. Scott Kelly, a history-making U.S. astronaut who spent a year in space, will speak April 4 at Montana State University. 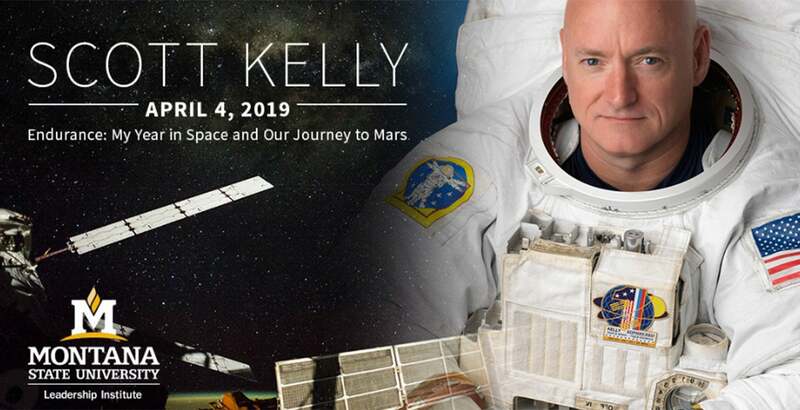 Kelly, who is also a bestselling author, is expected to discuss his space travel experiences, share lessons on leadership, reflect on his commitment to discovery and tell stories of perseverance. “I encourage all to attend because Capt. Kelly will draw from his experiences to deliver unparalleled life lessons, fascinating stories and candid commentary on his epic journey—all sure to provide us all with a new appreciation for time and space,” said Carmen McSpadden, director of the MSU Leadership Institute, which is hosting Kelly’s lecture. The historic mission also included NASA’s groundbreaking Twins Study, in which Kelly’s identical twin brother, retired NASA astronaut Capt. Mark Kelly, served on the ground as the control in an experiment to understand how space affects the human body. Mark Kelly retired in 2016. Kelly’s New York Times bestselling memoir, “Endurance: My Year in Space and Our Journey to Mars,” was published in 2017 and has been optioned as a Hollywood film by Sony Pictures. “Infinite Wonder,” a book of photographs that Kelly took from space, will be published in October.